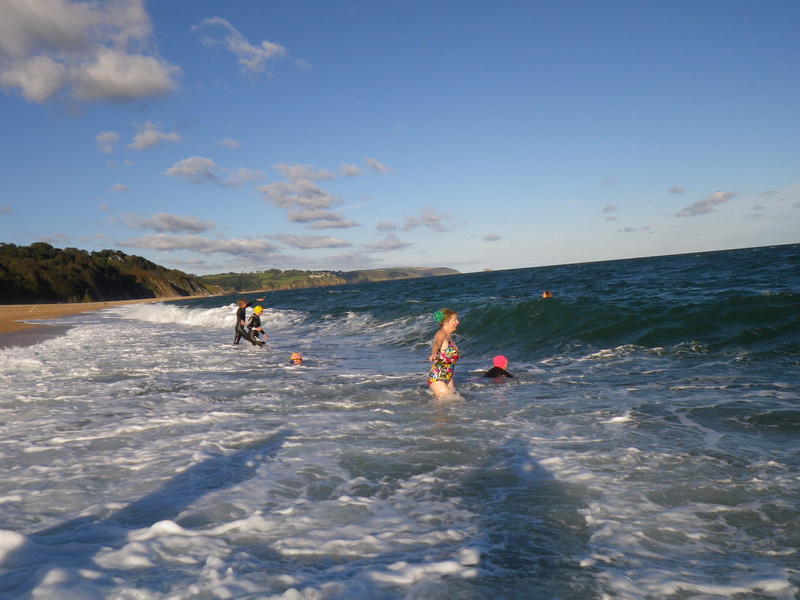 A coterie of wild swimmers gather in late afternoon on Slapton Sands. It’s a stunning day, but a cheeky easterly wind knifes through skin and bone as we trot to the sea. The waves rear up and dump in a clattering roar, and the shingle tinkles like rain as the waves recede. Jackie is wiped out and emerges uncharacteristically bedraggled, but bravely continues to bounce in the aquamarine swell. Black backed gulls wheel overhead. We return to shore, and take turns to soak in the portable wood-fired hot tub placed here for the day. 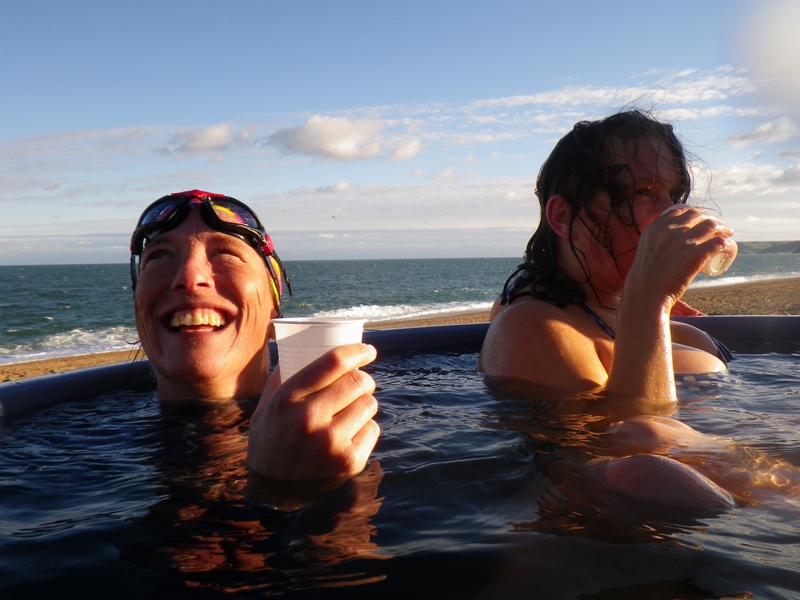 ‘Hot Tub’ is way too prosaic a term for such a marvel; it’s an experience of extreme contrasts. The little attached wood-burner heats seawater which magically wafts through a pipe into the tub. It’s the same water in which we’ve just swum, yet it’s a different animal. Heat diffuses through our chilled skin. Meanwhile the salty Slapton gale whips past our faces. The briny scent mingles with whiffs of wood-smoke. We wallow and giggle, cooking slowly while we drink champagne, eat a series of exceptional cakes, and finish with coffee and Bailey’s. 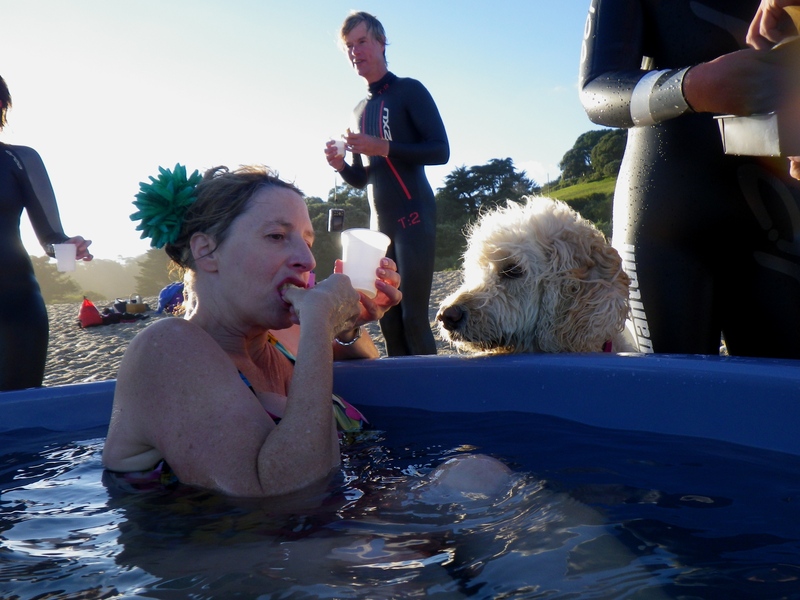 Honey stares with deep concentration at our cake, but her love of water – fortuitously – does not extend to baths. The sun drops and silhouettes the spa chimney, while the spray from the surf mists the horizon. Looking seawards it’s like an infinity pool. Finally, I have to let someone else in. 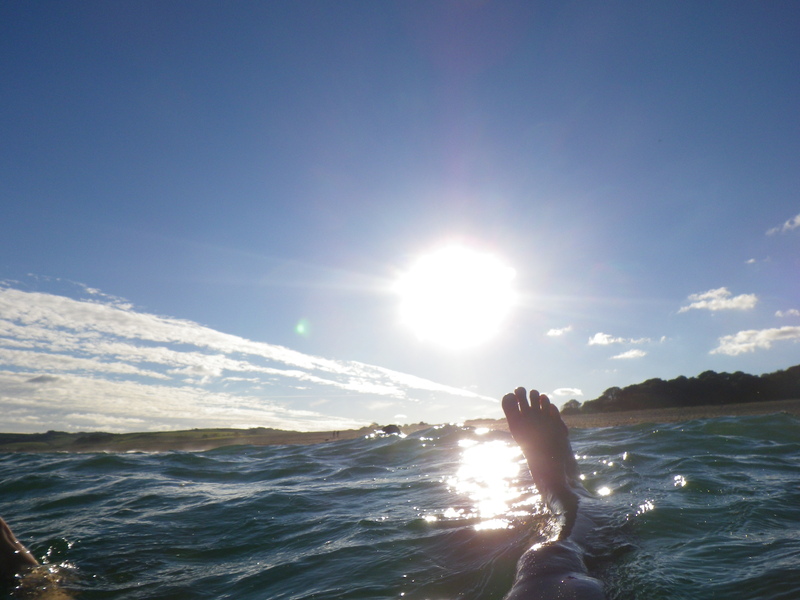 Leaping from the tub I dash for my Robie and manage to change before the gale steals the warmth from my body.